Rest and sit comfortably when you bring home this casual chair. The scooped rolled arms feature welt cord trim that offers the piece a simple detail. A tight back cushion and a thick seat allow you ease into position, perfect for watching TV or reading a book. 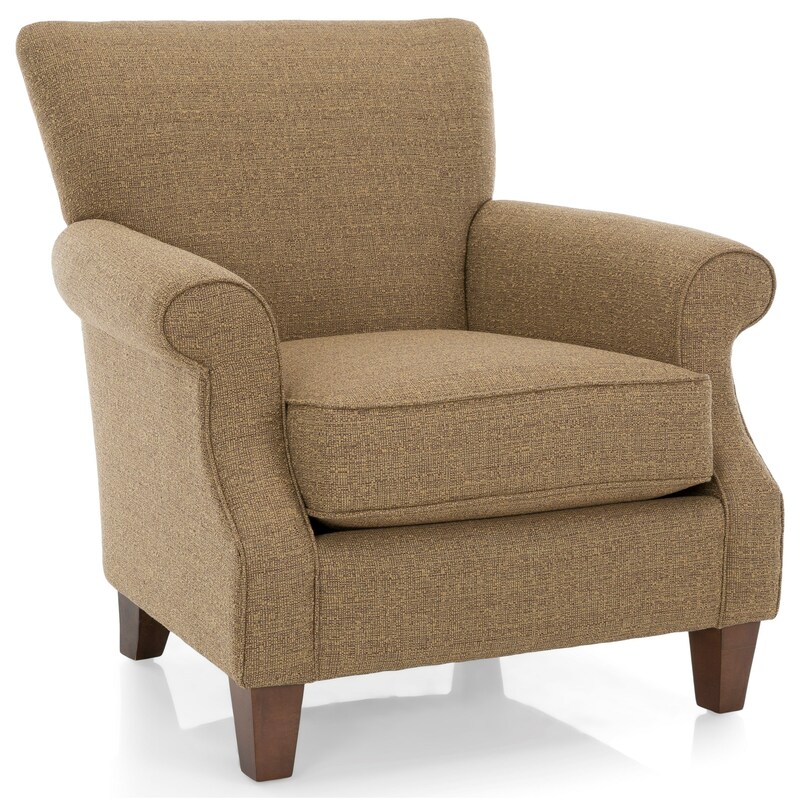 The 2538 Casual Chair with Rolled Arms by Decor-Rest at Stoney Creek Furniture in the Toronto, Hamilton, Vaughan, Stoney Creek, Ontario area. Product availability may vary. Contact us for the most current availability on this product.